This two day workshop is specifically for those who have been interested in carving and would like to enhance their present ability or "awaken a sleeping interest." Herb Rice will introduce you to the art of knife making and care. We will look at the different types of wood available and discuss how to prepare and use them. 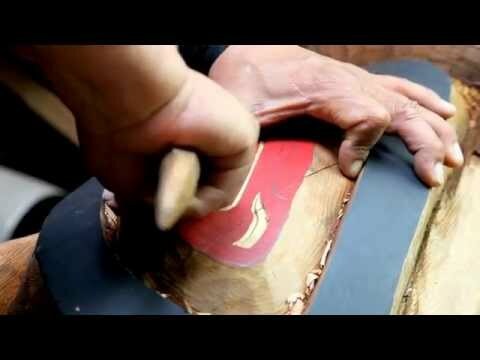 The introductory course will deal with basic technique and design concept of Northwest Coast Native Indian woodcarving. So limber your fingers up and do some strengthening exercises, it takes up a lot more energy then you may think. Wood, designs and knives will be provided. This course will include a three knife carving set that is yours to keep!